ICELAND is unlike any other country on Earth. The Land of Fire and Ice is exactly that, an island formed (and still being formed) by volcanic eruptions, shifting tectonic plates and the slow but perpetual progress of mighty glaciers. The landscapes are cinematic, the influence of Mother Nature everywhere. If you want your children to appreciate the power of the elements, this is the place to come. Yes, it's expensive. Accommodation bills are hefty and eating out can be eye-watering. But there are no entry fees to any of the national parks, most activities are greatly reduced for children (and often free if they’re under 7 years old), and the geology lesson they’ll get from simply walking off the plane costs absolutely nothing. And that’s not something you can say about every holiday. It’s been nearly a year since we got back from our trip to Iceland and rarely a day goes by without our children talking about it. How they struggled to make themselves heard above the roar of Skógafoss. The curious young Minke whales that approached our boat as it cruised off Reykjavík. The way the silica mud felt when it dried on their faces at The Blue Lagoon. In fact, there are so many interesting sights and unusual activities here that it can be difficult to know where to start. 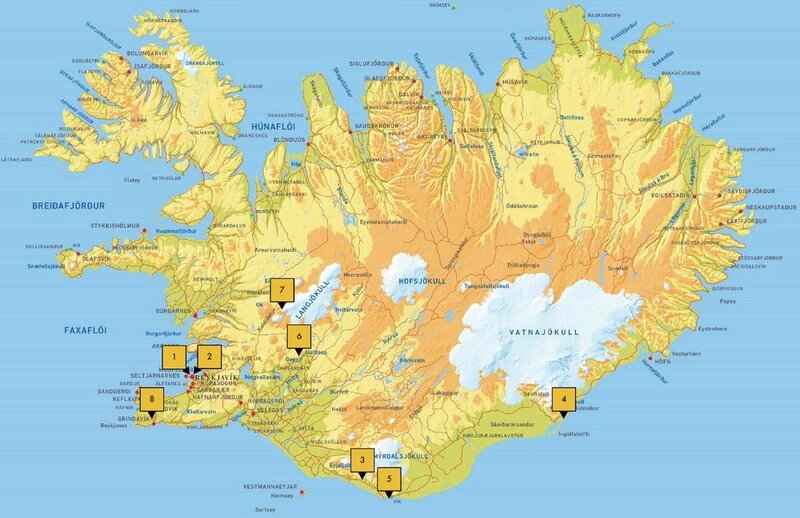 In just eight days, our ultimate family itinerary to Iceland covers much of what makes the country such an incredible place to visit, moving from hot springs and hiking to black-sand beaches and craggy lava fields that look like they’ve been plonked here from outer space.